Find more affordable workers compensation coverage from Travelers. Get Workers Comp Insurance From Travelers. 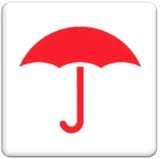 Travelers is the second largest insurance company for Property and Casualty Insurance. They were awarded the 2013 Buyers Choice Award for service excellence and expertise in workers compensation and commercial auto. Travelers offers employers competitive pricing and flexible payment options. Get high quality coverage and peace of mind of from a financially stable company that excels in customer service and consumer loyalty. Travelers offers a broad array of property and casualty products with very competitive pricing for workers compensation coverage. The offer comp solutions to "Main Street" businesses, mid sized and specialty companies, and even Fortune 100 corporations. Workers Compensation Shop | Travelers Ins. Our agency works with Travelers Insurance Company to quote and service workers compensation and other lines of coverage throughout the United States. Travelers customers get exclusive access to Traveler's Risk Control Center. This portal provides ideas, tips, and tools to help business owners reduce exposure to insurance claims. See if your business qualifies for better workers compensation rates with Travelers. We're proud to partner with Travelers to offer TravPay workers comp coverage. As a certified TravPay Professional Partner, we work closely with Travelers to offer the convenience and flexibility of Pay As You Go workers compensation insurance. TravPay allows employers to report and pay their workers compensation premium based on their actual payroll each pay period. TravPay helps business owners reduce down payments, improve cash flow, and minimize the risk for audit bills. Travelers offers workers compensation insurance in all states except: Alaska, Hawaii, Ohio, North Dakota, Washington, and Wyoming. Shop your work comp with Travelers. Travelers Insurance offers flexible billing programs. Their direct bill program requires 25% down for new policies with 3 or 9 additional installments. They offer 12 equal installments on renewal policies. And they offer Pay As You Go self reporting via TravPay. Start a quote with Travelers Insurance to find out if they offer a better solution and lower class code rates for your business. Or call us today to learn more about Travelers workers compensation.